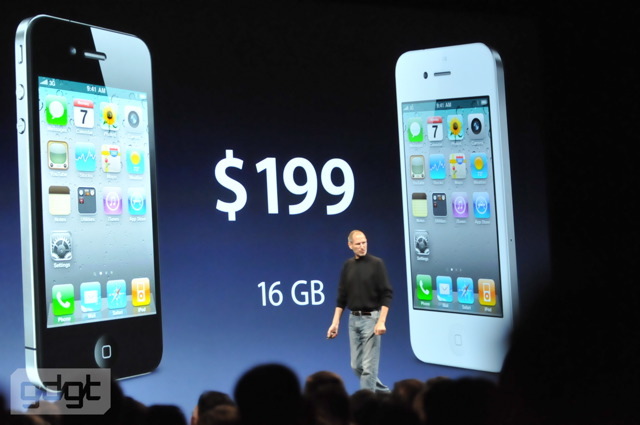 On stage from the WWDC, we’ve just gotten pricing confirmation on the new iPhone 4.
iPhone 4 – $199/16 gig $299/32 gig with both in either black or white. The US, France, Germany, UK and Japan will be first, then 24 more countries will start shipping in August. 88 countries total makes it the fastest rollout ever, according to Jobs. Read next: Wait, Bing is DEFAULT search on iPhone 4?